Kraig was born in California, to parents who were United States church planters. They planted churches in California and in Houston, Texas, where Kraig lived from the age of five until he graduated from high school. 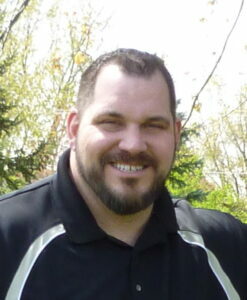 He attended Summit University (formerly Baptist Bible College of PA) for four years, where he married Anne in 1993. 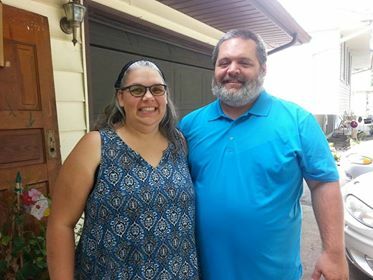 He felt the call of God to work with teenagers in public education, so Kraig and Anne moved to Florida and continued his education to become a teacher and football coach at Florida Gulf Coast University. He spent the next ten years in public education as a teacher, counselor and high-school vice principle, as well as a football coach. They lived in Florida, Missouri, Arizona, and Iowa. During that time, he worked with local churches in a variety of ministries, leading youth, teaching all ages, leading music, preaching, and coordinating missions and evangelism. God called him into the pastorate, and he pastored a Baptist church in southern Minnesota for four years, where his study of the Word of God led him to see that he was to obey all of the counsel of God, both Old and New Testaments, and that it was all applicable to their lives. 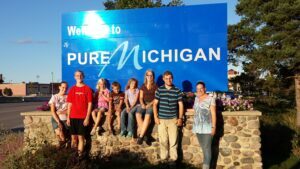 Since leaving the pastorate, Kraig and his wife have been working to support families by writing Torah-based homeschooling curriculum and parenting materials, and they have felt called to promote the establishment of local congregations in areas where Torah-based believers in Yeshua have no local fellowship. Kraig has seven children, a cat, and a dog, and he loves spending time with his family and going on dates with his wife. He loves having company over to his house, and of course, he is an avid football lover, also enjoying hockey and lacrosse. He enjoys woodworking and interior design, reading and discussing history and military strategy, and best of all, discussing theology for hours at a time. Jeremy Hirn was born in a small town in Indiana. At the age of seventeen, he began attending a youth group at a small country United Methodist church. After several different youth events, he made Yeshua the Lord of his life at the age of eighteen. As he began studying the Bible and the ways of the church, he had lots of questions. It was in the beginning of his relationship with Yehovah that he met his wife, Katie. They got married the same year they graduated from high school. From the very beginning of their marriage, Jeremy and Katie felt strongly that God wanted them to let him number their children. Even as a young couple they knew they wanted to serve families and change the lives of children. Together they have fostered children and help reunite them with their parents or other family members. 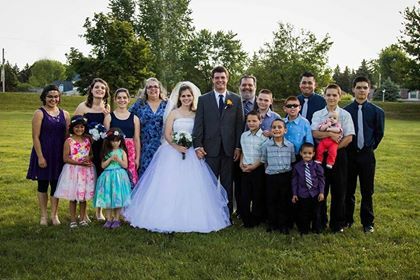 Over the years Yehovah has blessed them with 15 children of their own. One of Jeremy’s greatest joys is the blessing of being able to adopt four of his children. This is extra special to him as he was adopted by his dad. In 2018, Jeremy had the joy of becoming a granddad for the first time. As Jeremy and Katie began homeschooling their children, questions of holidays and religious practices began to become a part of family discussion. Slowly Jeremy began seeing that many of the commonly taught practices of the church were not actually Biblical. Over the years Jeremy began quietly making changes, but it was in 2014 that Jeremy made the decision to step away from the main stream church and publicly teach that all scripture is God breathed and useful for life. Jeremy feels it is a joy and privilege to serve Solel.